Going by the high demand for bread, a bakery business has excellent chances of success. However, the success of the business hinges largely on the skills and experience of the owner as well as how carefully the business is planned from the outset. If you are planning to start a bakery business, you need to write a business plan. While you might want to dismiss this idea as insignificant, you must bear in mind that the business plan is the only official document that will detail the analyses of every aspect of your business. Although writing a bread bakery business plan might not guarantee the success of your bakery business, not writing it is a shortcut to failure. Bread is a stable food in the country today. It is consumed by all and sundry- the old, young poor and rich consume bread on daily basis. It one of the best investment one can think of. Nigeria investors are therefore advised to invest into bread production. Bread is regarded as a food for the masses. It is taken as breakfast in many houses. With the rapid increase in population of Nigeria and migration to the urban areas from the rural areas, there is need to increase the number of bread producing firms in the country. Despite the increase in the prices of bread the demand for bread keeps rising. Despite the increase in flour and other raw materials for bread making, investment into the industry is still very lucrative. According to publication made by the Nigeria bakers association, prices of bread, a major stable food have risen in the last three years by an average of about 25 per cent from between N80 and N120 per family size loaf to between N120 and N150 amid increase in the prices of baking materials. For any prospective investor to be successful consideration should be given to the location. This is very important because this will determine the type/categories of customers to service. Usually it is advisable to locate the project in the areas where there are large populations. The operational environment is very important. For easy approval by NAFDAC and SON, there is need to site the project in a very clean environment. Details on the structural plan and location information will be given to the prospective investors. Though bread can easily be sold in any part of the country, there is need to be proactive. There is to have well articulated structures marketing strategies. Having mentioned some possible market in a broader prospective, it is appropriate to structure effective marketing management and financial control. The writer will give detailed marketing/management to prospective investors in the business proposals/plans. The following plants, machinery and equipment are essential for setting up an ultra-modern bakery; Electric oven (3 Deck/4Deck are available depending on the capacity), industrial burner, electric milling machines, mixer, bowl or dough mixer (of various capacities ranging from3-10 bags of 50kg flour at a time), automatic Slicing machine, Paster roller, Standard scale/measure. There is also need to procure various sizes of baking pans. The machines can be sourced locally or imported. Details will be made available to prospective investors. The power generating is very important and ranges from 25KVA above depending also on the capacity of the plant to be installed. All the required raw materials for commercial bread production are locally available and include the following; flour, sugar, salt, yeast and edible or baking fat. There is need to get a professional food technologist that will mix the inputs properly to achieve a unique taste. The first step is to purchase the basic raw materials from dealers and maintain adequate stock. Other steps include measuring out the quantities required, mixing the raw materials using the mixing bowl; milling with the milling machine; putting the milled products into the baking pans and allowed for some hours to rise properly, transferring to the baking oven. The baking pans are then emptied and set to cool for slicing. The bread is then wrapped and packaged for sales. The packaging materials should be unique and attractive. This is very important in the modern bread industry. From our projection, about 16 people are needed for a start for production, marketing, management and auxiliary staff. To handle the implementation of this project professionally, prospective investors should embark upon a detailed and bankable feasibility studies. 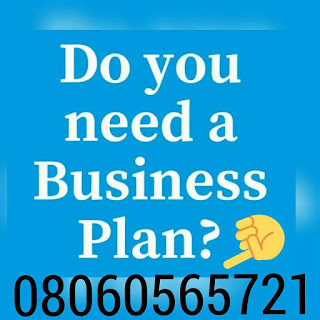 After payment text your name and your e-mail address to 08060565721 and you’ll receive your BAKERY BUSINESS PLAN IN NIGERIA PDF / FEASIBILITY STUDY. Can I get template for the bakery business plan?